Shalam to all who seek truth and understanding. We must understand and know that the letter J is the newest letter added to the English alphabet. Also we must understand that in the Latin, Greek, and the Hebrew alphabet there is no J. By us knowing this we should know that the Messiah name isnt Jesus. Christ was a Jew (Yehudah,) from the tribe of Judah who spoke Hebrew. Please read this in depth study about the letter J, Shalam. 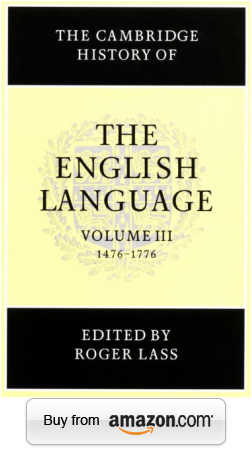 The first English-language book to make a clear distinction between I and J was published in 1634 (Ref). Its use in the English alphabet followed, the letter J was the last of the 26 letters to be added to the English Alphabet. Its emerging distinctive use dates back to Middle High German, originally being a typographical flourish or swash character on the Roman i. The Italian: Gian Giorgio Trissino (1478-1550) was the first to explicitly distinguish I and J as representing separate sounds in 1524 with his "Trissino's epistle about the letters recently added in the Italian language. If there isn't a letter J in the Messiah name, then where did the name Jesus come from? ﻿﻿Acts 26:14﻿﻿ And when we were all fallen to the earth, I heard a voice speaking unto me, and saying in the Hebrew tongue, Saul, Saul, why persecutest thou me? it is hard for thee to kick against the pricks. In Acts 26:14 we read that Paul heard Jesus (Yashaya) speak in the Hebrew tongue. If the Messiah spoke Hebrew then his name must be Hebrew as well. The Messiah true name is YASHAYA in the Ancient Hebrew tongue. For more information about the Messiah true name Click Here. 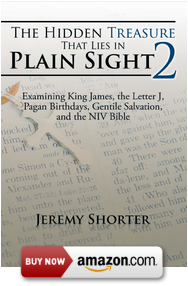 The second series of The Hidden Treasure That Lies in Plain Sight is a captivating and thought-provoking book that talks about the letter J being the newest letter in the English alphabet. This book also talks about King James I of England and how he was a black man who was king of England, Scotland, Ireland, and much more. The Hidden Treasure That Lies in Plain Sight 2 features captivating content of a rich heritage that has been hidden from the masses. Is there proof that there was no letter J up until 1700s? Yes, this is a picture from the original 1611 King James Version Bible showing the Messiah name with and I instead of a J. The name Jesus is simply a combination of the Latin and Greek IESOUS. 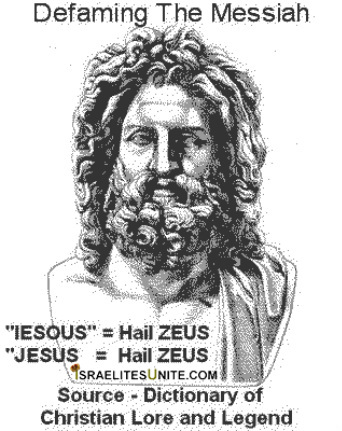 Please note the similarity between the Greek IESOUS and pagan deity of Zeus. In fact, the pagan deity of Zeus is not pronounced in its original tongue as we read it. As I have said, there isn't even a letter or "J" sound in the Greek Alphabet. The Messiah did not speak English and neither did He speak Greek. The Messiah did not speak English and neither did He speak Greek. He spoke Hebrew and was from the Tribe of Judah (Yehudah) as stated in Hebrews 7:14. The whole conclusion of this study lesson is to invoke conscious awareness of Christ name and how Jesus isnt his name of the Messiah. Also to let people know that the letter J isn't in the Greek Latin nor the Hebrew, and that we need to examine everything and question everything. The Messiah or Savior name is YASHAYA in Hebrew. Remember the Messiah was a Jew from the tribe of Judah. For more information about the Savior name Click Here. Please be careful to not worship a different god and lease do your research because the enemy satan has deceived this whole world, Shalam. ﻿﻿Revelation 12:9﻿ ﻿ And the great dragon was cast out, that old serpent, called the Devil, and Satan, which ﻿deceiveth﻿ the whole world: he was cast out into the earth, and his angels were cast out with him.